WHAT DOES GCN MEAN TO YOU? 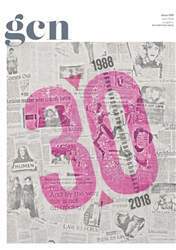 To me GCN has always been about building a sense of belonging, and bolstering that feeliing of community through being self-confident, open to new things, and always representing of the myriad points of view within that community. Plus, it’s my baby.